A group of 11 experienced water and sanitation sector professionals were part of the first Training of Trainers (ToT), organised by the Regional Capacity Development Network (RCDN) for water and sanitation services from 9-13 July 2018 in Belgrade, Serbia. The trainers, who are part of the RCDN Pool of Trainers, learned how to deliver state-of-the-art trainings, by implementing RCDN quality standards for capacity development, through training and peer exchange. Participants mastered their trainer and facilitator role, in all phases of the training management cycle and learned the different training methods and techniques that will make them capable to deliver first-class training with tangible impact on their participants and the sector. Participants also explored different learning and teaching styles, collaborative learning and engaging different and challenging participants. Participants exchanged experiences and good practices on quality delivery referring to training and peer exchange measures and benefited from the experiences of others. In the future, the Pool of Trainers will be available for national level delivery, based on the needs of the sector, via the respective Local Government Associations (LGAs) and Associations of Public Utility Companies (APUCs). 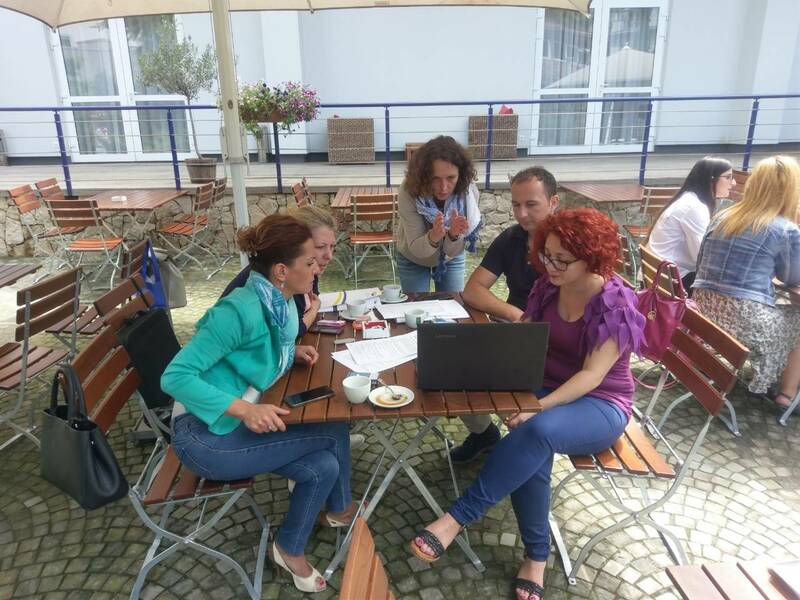 Two weeks before, the Focal Points of the RCDN partner associations (LGAs and APUCs), the administrative staff in the D-LeaP Hubs and the training units/centers of the LGAs and APUCs participated in a training in “Training management cycle and standards in delivery of trainings”, organised in Tirana, Albania. Now, teaming up with the Pool of Trainers, the Associations are ready to offer a wide portfolio of capacity development services for the water and sanitation sector in the six project countries.